13" Army Trophy. Made from resin. 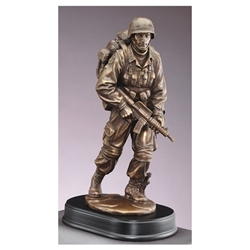 This Army Military Trophy has exquisite detail throughout. A great way to show your appreciation.